How to file a Complaint against false Advertisement? The impact of commercials on customer’s decision is absolute. In our day to day lives, we are frequently besieged with deceptive commercials. For example HUL’s (Hindustan Unilever Limited) commercials are not only repulsive, but also clasp dusky people to a pyramid of airy hopes that utilizing these creams will make them fairer in a flash. For instance, HUL’s advertising strategy for Fair & Lovely has always been analogous to “kaale ko gora bana de”. Do you think utilising this cream will truly make you a fair? At the outset, there was no comprehensive enactment to direct these deceptive commercials, they were regulated by the courts, government, tribunals, and the matters were settled case to case basis. Finally, Advertising Standards Council of India (ASCI) was established to crack its whip and bring companies to book that spurn the rules. The duty of ASCI was to resolve complaints received from Consumers & Industries based on its code of advertising practice. So, you can now file complaint against false advertisement in India. 1. You can address a letter to The Secretary General, the Advertising Standards Council of India (ASCI), 717/B, AURUS Chambers, S S Amrutwar Marg, Worli, Mumbai 400018. 2. You can send complaint against false advertisement to contact@ascionline.org. 3. You can register complaint online at www.ascionline.org or www.gama.gov.in. 4. You can contact ASCI on 1-800-22 –2724 (toll-free). 5. You can also write to WhatsApp number +91 77100 12345. 6. You can use mobile App ASConline to complaint against false advertisement. Complaints against false advertisement can be filed by general public including government officials, consumer groups, etc., Suo Moto complaints from the member of the ASCI Board, CCC , or the Secretariat and, Intra-industry i.e. complaints from one advertiser against another. 1. Refund of money equivalent to the price. 2. Compensation for any loss or injury suffered. 3. The opposite party may be ordered to issue corrective advertisement to neutralise the effect of misleading advertisement. 4. The court can also award punitive damages and costs of litigation to the consumer. ASCI consists of 21 members which includes 12 members are from civil society and nine from the industry, who can help in resolving your complaint against false advertisement. But do you need assistance in filing complaints? 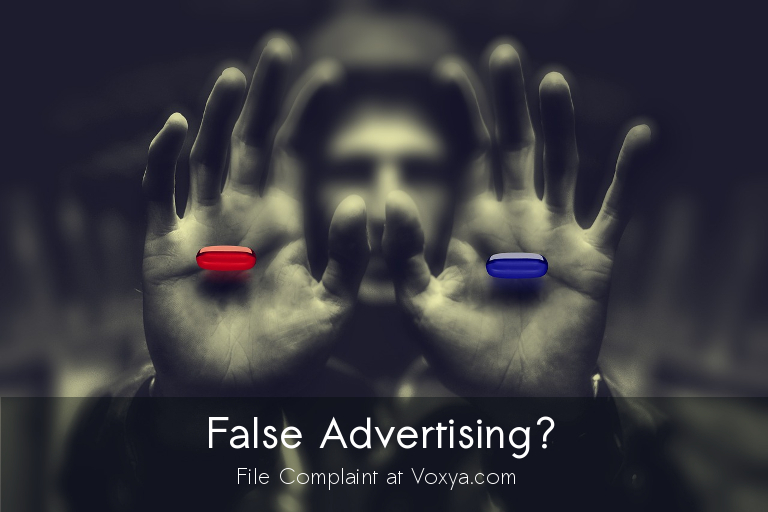 If yes, then you should contact Voxya.com for filing a consumer complaint against company in India. Voxya can help you to file assisted Consumer Complaints against misleading brands and can help in getting resolution quickly.